Food on Foot - Randy U. We are so proud to announce that on September 24th, Randy U. 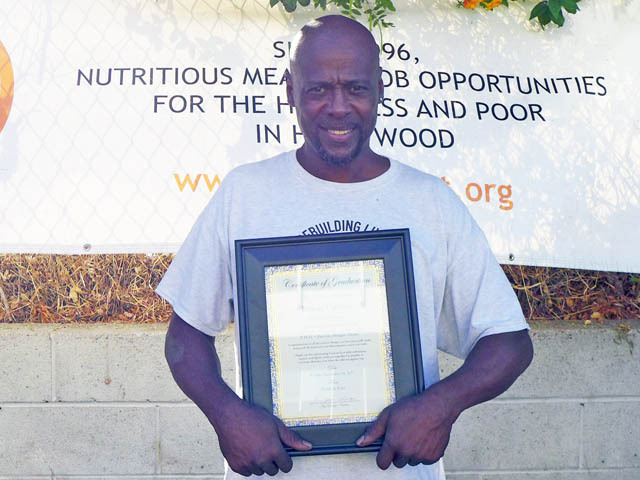 (pictured above) graduated the Work for Food program and is now 100% self sufficient! He now has a full-time job at Bottega Louie in downtown Los Angeles, and his very own apartment.